The Mystery of the Holy Spirit is the third R.C. Sproul book I’ve read so far, and I must say my expectations were very high after reading The Glory of Christ and Chosen by God. However, my enthusiasm was dampened a little bit when I found this book to be a harder read than the other two. Don’t get me wrong, the message was still good, and personally I had little trouble following it, but it’s just a tad above the average reader’s head. Mr. Sproul tackles a very difficult part of the Christian faith first. He [correctly] assumes that to better understand the Holy Spirit we must first seek to understand the Trinity, so he begins the book by analyzing this often confusing aspect of our faith. I must say, C.S. Lewis in Mere Christianity does a much better job of describing this and if you are trying to understand better, I would recommend reading that book first. But the book isn’t specifically about the Trinity, and the explanation Mr. Sproul gives us sufficient to lay the foundation for the rest of his book. The most stirring part of this book is Mr. Sproul’s chapter entitled “The New Genesis” which is about regeneration in the Holy Spirit. The main idea in this chapter is regeneration precedes faith. Mr. Sproul is quick to emphasize that we can not come to faith without first being regenerated. Many churches believe that God gives us rebirth, but we must “cooperate with it and assent to it” before it can take hold in our hearts. In this chapter Mr. Sproul completely proves this way of thinking incorrect. The author does however, have errors in this book, most especially the following: in the latter half of the book Mr. Sproul refers to the filling of the spirit. He points out that there are not two levels of Christians: those who are filled with the Spirit and those who are not. But Mr. Sproul, though he is correct in this statement, fails to take it to the next level: We should constantly be seeking to be filled with the Spirit and it’s not just a ‘first time’ that we’re filled, but a second, third, fourth, and so on as well! One of the things God tells us to do is to draw closer to Him in this sinful world. We should always be seeking to be filled with the Spirit. 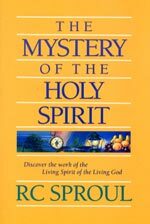 Overall, The Mystery of the Holy Spirit is another very good book by Mr. Sproul, though just a little bit harder than the other two I’ve read. And other than a fail to conclude his thoughts in the one part of the book, the book is very strongly written and solid. P.S. 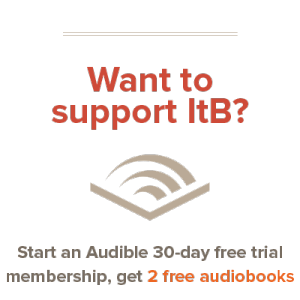 – From “Admin”: You’re going to start seeing some big changes here at Into the Book soon. Look for many more new reviewers, and lots of new good book reviews to read, and maybe even some tweaks in search and modification! I appreciate how you share when a book is a bit harder. That is helpful to readers if they want a really deep, have to think it out, or more of a quick read. Also, that you the “high” and “lows” of book or maybe I should say the “good” and “bad”? I think you know what I mean. Good review!